The concept of PDCA is based on the scientific method, as developed from the work of Francis Bacon (Novum Organum, 1620). The scientific method can be written as “hypothesis”–”experiment”–”evaluation” or plan, do and check. …According to Deming, during his lectures in Japan in the early 1950s, the Japanese participants shortened the steps to the now traditional plan, do, check, act. By fully embracing the PDCA method, I fancied myself a highfalutin’ “management scientist”. My laboratory was the workplace, wherever folks needed help solving their management problems. Any legal skills I may have gleaned during my very short-lived law career would be shelved, interminably and irrevocably, as I deliberately and determinedly hung out my management consultant’s shingle, fully intending to deliver decidedly non-lawyerly service and value to my clients. And then a funny thing happened: I ended up doing a lot of legal and compliance-oriented work on consulting projects. It happened time and again, even when clients weren’t aware of my law background, and I began to question the soundness of my career decision. If people so valued my ability to interpret laws, regulations and policies in the context of their business needs and concerns, then why was I trying so hard to be a management consultant (instead of focusing on a corporate law or compliance career path)? The answer to this question didn’t come quickly (I’m a wicked slow learner) but it did come eventually, once I started asking myself why the theme of compliance had become so central to my work and the work of the teams that I have led. Why, when our initial objective was to improve the processes of a pharmaceutical company’s investor relations/public affairs division – did I focus so much of our team’s attention upon applicable Securities and Exchange Commission regulations? Because the primary “customer” of the investor relations/public affairs division’s “products” and the primary “beneficiary” of SEC regulations were one and the same – investors. To improve this division’s processes in a manner that was not wholly consistent with and in furtherance of SEC requirements would have been missing the point entirely. We weren’t thinking “how can we trim the fat here and still be compliant?” Instead, our approach was to utilize SEC regulations as the guiding framework for our improvement initiatives. Compliance with law was effectively this division’s “product”, and our goal was to help them deliver the highest quality product possible, produced as efficiently as possible. And so our customer value-focused continuous improvement project ended up looking an awful lot like an SEC compliance initiative. 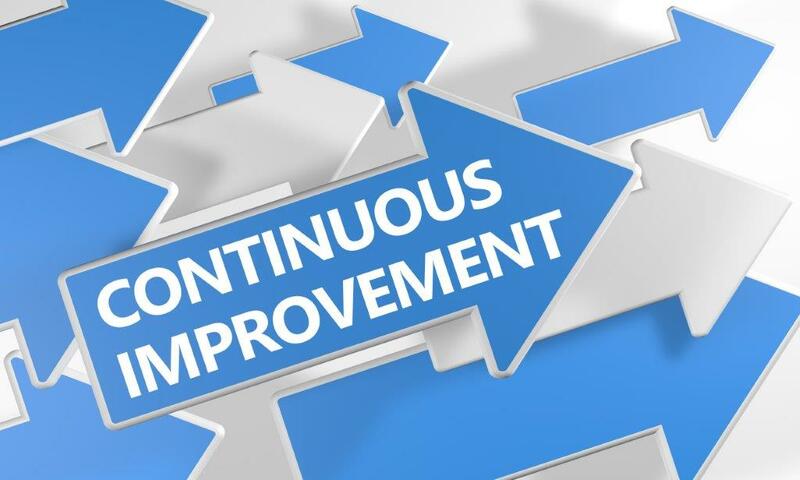 Why, when our initial objective was compliance with an administrative efficiency regulatory requirement, did we focus our efforts on continuously improving customer value? Because when regulatory scrutiny is applied primarily to minimizing administrative overhead of the regulated entity, the result is not necessarily an increase in customer value. By collaborating with the regulator to design a “smart” administrative efficiency regulatory mechanism, we were able to ensure that administrative efficiency would not be achieved at the expense of customer (or in this case, ratepayer) value. To maximize ratepayer benefit we committed to establishing a program that thoughtfully balanced program effectiveness concerns with administrative efficiency concerns. A fair program effectiveness indicator will assess how well program goals and objectives are achieved. Effectiveness in this sense is essentially synonymous with impact, results, or outcome. We, working with our regulator, defined administrative efficiency to be the maximization of program output achieved via the minimal employment of input resources. More importantly, we agreed that maximized administrative efficiency is NOT synonymous with optimized program effectiveness. A regulatory performance goal intending to limit administrative costs can unintentionally limit a utility’s options because it establishes an arbitrary cap on these expenditures and serves to discourage innovation and creation of programs that may be more impactful (providing the most ratepayer value) in the long term while incurring higher administrative costs in the short term. And so our regulatory compliance initiative ended up looking an awful lot like a customer value-focused continuous improvement project. I suggest the line between compliance and continuous improvement can be blurred. I further suggest that’s a good thing! In 9 years with my current organization I have held multiple quality, continuous improvement and compliance-oriented positions. In reality, my approach has remained essentially the same despite the morphing job titles. It can get a little tricky, however, if one’s compliance responsibilities require auditing or monitoring of a process or program. In order to ensure objectivity, auditors should avoid playing a role in designing or implementing improvements to the process or program being audited. In smaller organizations such as mine, maintaining this objectivity can sometimes pose a challenge. I assume that larger organizations with a separate internal audit function are better able to avoid such conflicts. In any case, the compliance function can and should play an integral role in an organization’s Plan-Do-Check-Act improvement cycle. Restricting compliance responsibility to only “Check”-related activities can serve as an unintended “check” upon compliance effectiveness and ultimately upon customer value. I appreciate you for this kind of stuff. Thanks for sharing it with us!